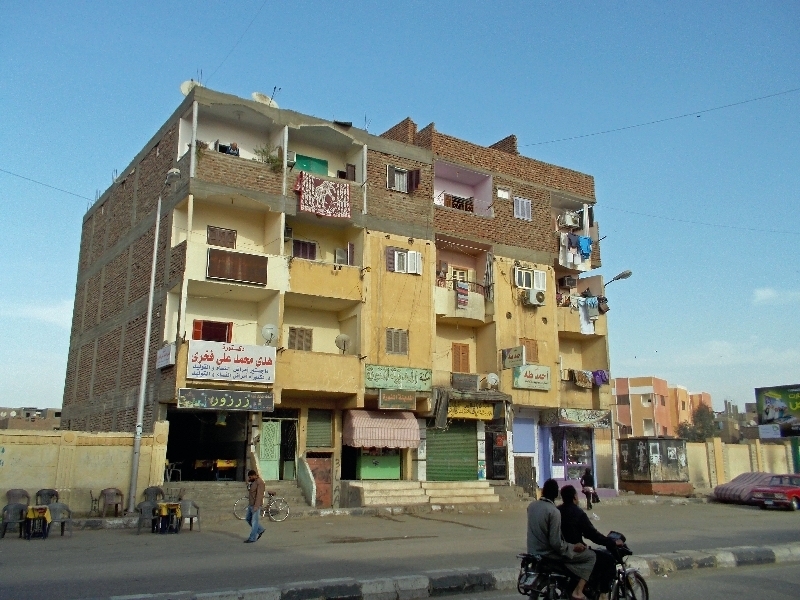 Egypt has people! 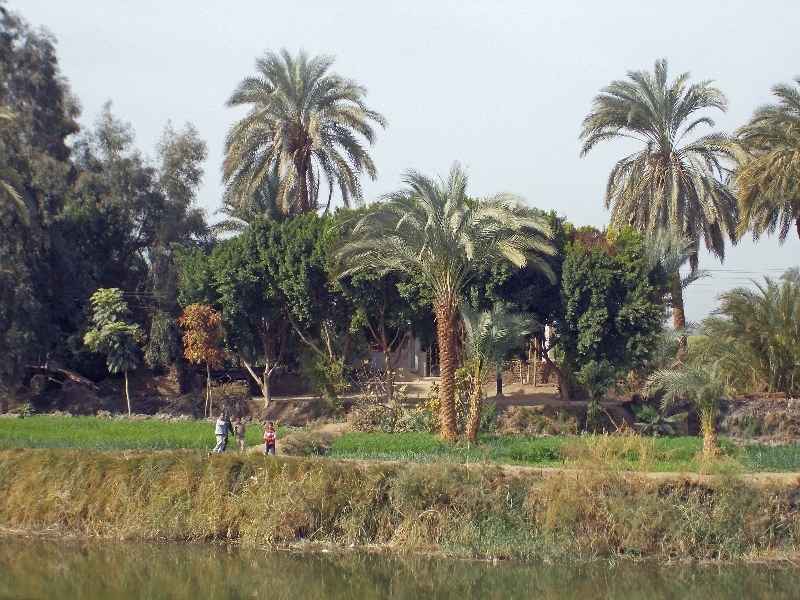 After the past days cycling through desert areas we spent the last half of the day cycling past more populated areas close to the Nile River. 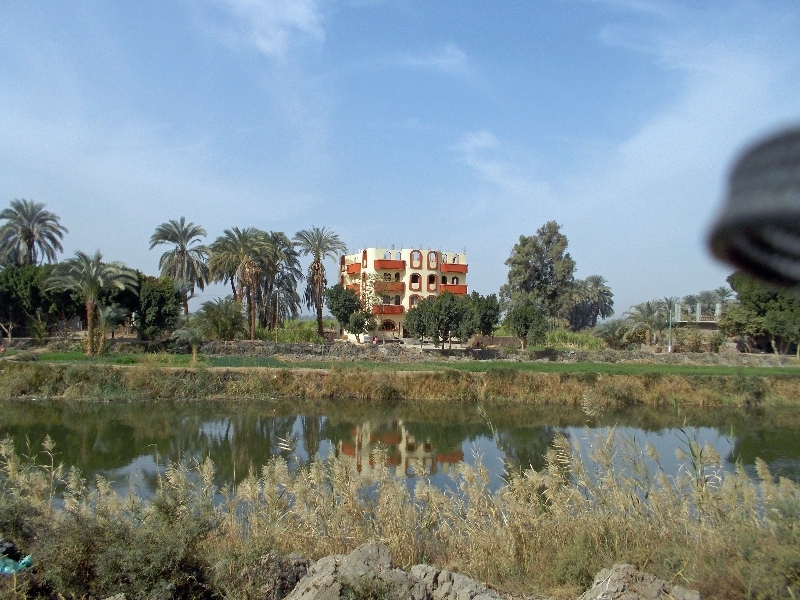 These areas are irrigated and we passed along a canal after 45km or so all the way into Luxor. Where irrigation goes, so does agriculture. There was sugar cane including a cute train on very narrow gauge with cars filled with cane; as well as other crops. People lived along the canal and on both sides and we took the old road along this route. Every so often there would be speed bumps to keep everything slow. The first 30km was still desert riding and I rode by myself. 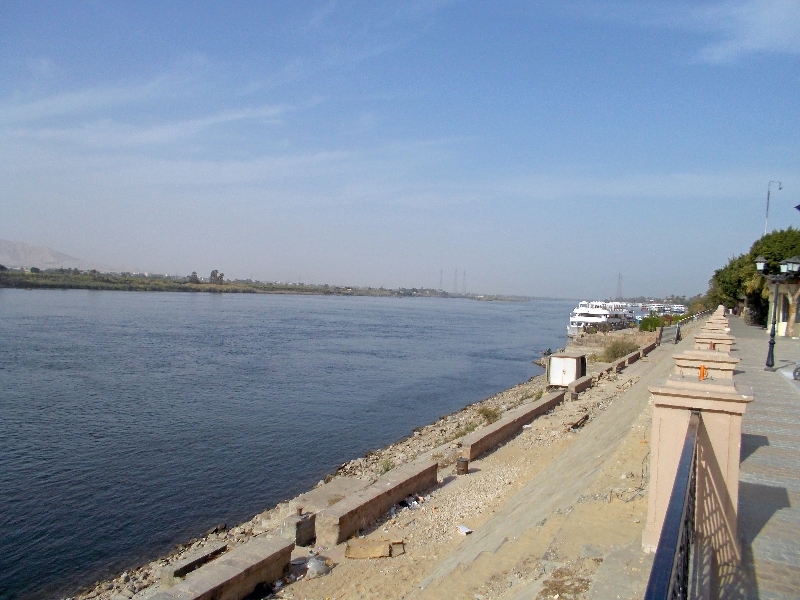 However as we got close to Qena, I rode with another rider until lunch at 62km. It was a little fun finding our way through middle of Qena but soon figured all this out. At lunch we had an audience. Sometimes this group is a bit of a traveling circus complete with performers in brightly colored outfits and strange bikes. Hence, it isn’t surprising that we are a bit of a spectacle when we stop. We were watching locals with carts, donkeys and they were also watching us. After lunch we had been advised to travel together with a group. Not for a particular dangerous situation, but instead as the circus came by, some of the kids might be tempted to throw rocks or sugar cane (there had been some incidents last year, e.g. of a “high five” and then putting rider off). So I rode as part of a larger slow crew with ~20 riders. This made a bit more of a spectacle, and while we got some shouts, there wasn’t much to be concerned about the kids. This got us into a hotel and we had a choice of camping in the courtyard or also some rooms. I decided to splurge and get a room. Good chance to get myself clean and charge up electronic toys. 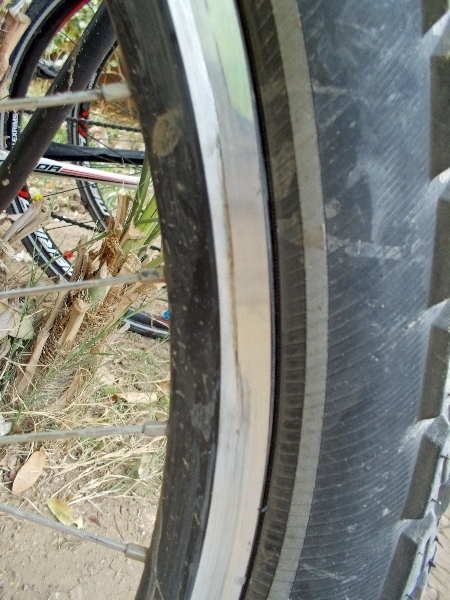 I also gave the bike a good wash.
On giving the bike a wash, I noticed that my rear rim had developed a split. Shoot! Tomorrow one of the mechanics from the trip will help rebuilt a wheel using a spare rim I had brought along. However, NOTE if there is a sectional TDA rider from Canada/US who is joining the tour in Nairobi…reading this blog…I have a favor to ask (and can pay costs) to have you bring one of my extra rims with you to Nairobi. I have the rim in US and would have it sent to you. Hopefully this won’t be needed and new rim will keep me going for a while, but some extra insurance given I lost the rim so early. 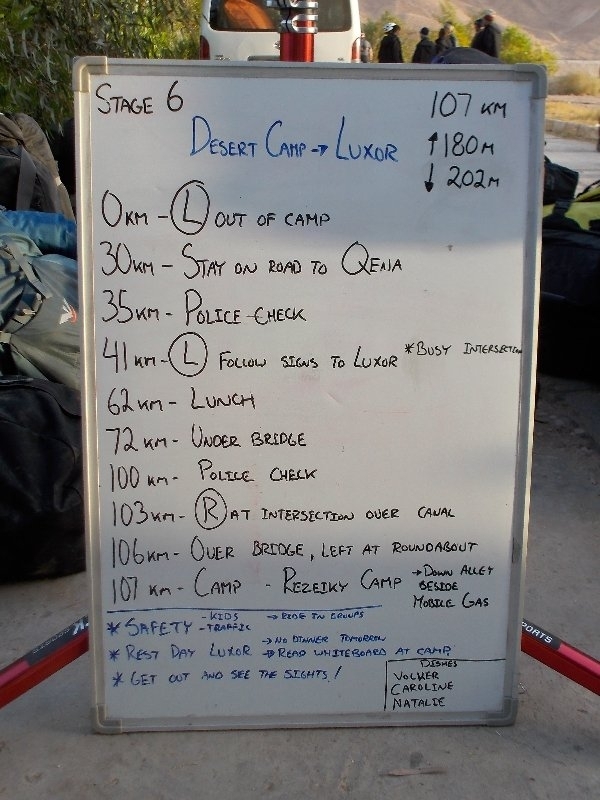 Other than relaxing and getting the bike wheel built on new rim, hope to also do some tourist looking around in Luxor and otherwise getting everything ready for next stage of the trip.